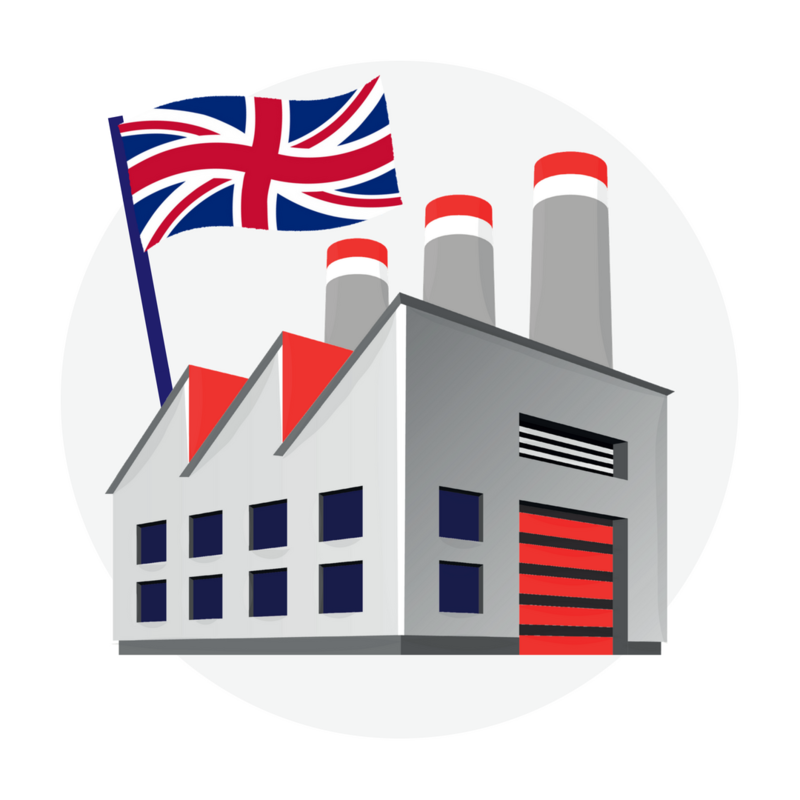 What can the Government do to help businesses manufacturing in the UK? What more can the Government do to help small businesses manufacturing in the UK? 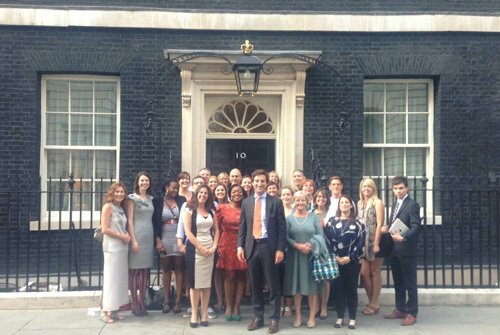 Yesterday I had the pleasure of being invited to 10 Downing Street to talk to Government advisors about what more they can do to assist small businesses in the UK. The visit was organised by Emma Jones and her team at Enterprise Nation, who do some great work in helping to support start-ups, and are part of the team behind the fantastic Pop Up Britain retail stores. As well as myself there were representatives from platforms that sell products from designer/makers, such as Folksy and the Crafty Fox Market, as well as several small business owners, many of which manufacture their products in the UK. Hosting the gathering in the rather grand State Dining Room were Daniel Korski, Enterprise Advisor to PM David Cameron, and Matthew Hancock, Minister responsible for small business and apprenticeships. Daniel and Matthew wanted to hear our thoughts on what the Government could be doing to help those businesses working in the craft sector, who between them generate £4.4billion to the UK economy. There were some fantastic points raised about how the Government could better support the thousands of entrepreneurs that are helping to bolster our economy, in what is being hailed as the ‘March of the Makers’. Here are some of the key points raised. Do you think that we missed anything? 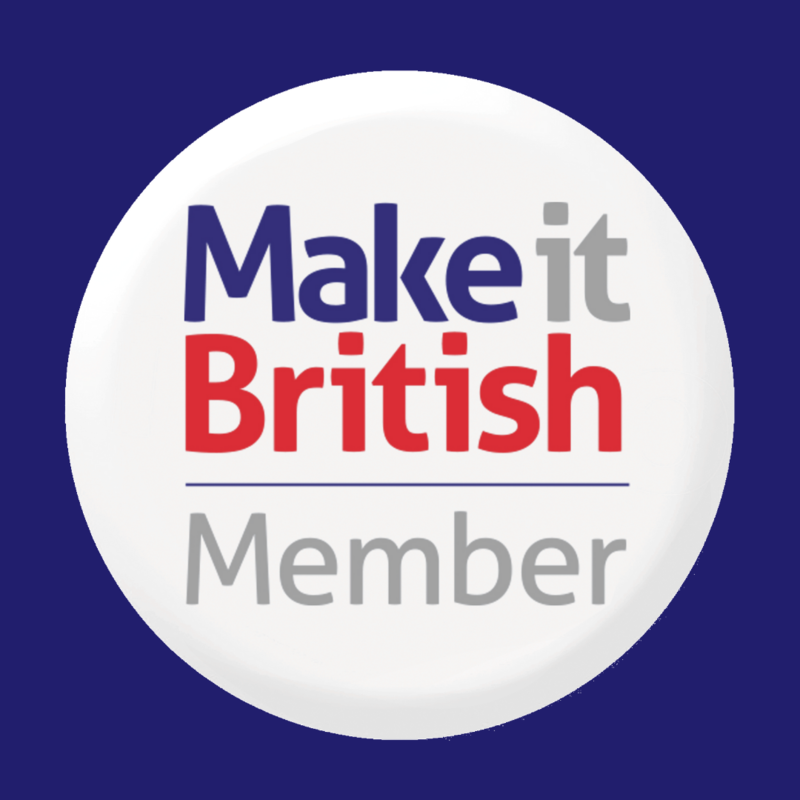 It should be easier to find British manufacturers – Many business owners felt frustrated by the fact that when it came to making the step from designer maker to mass-manufacturer they had trouble locating the right people to make their products. Out of date directories, secrecy amongst their peers and factories unwilling to invest in unknown businesses were amongst the hurdles that the business owners had hit upon. 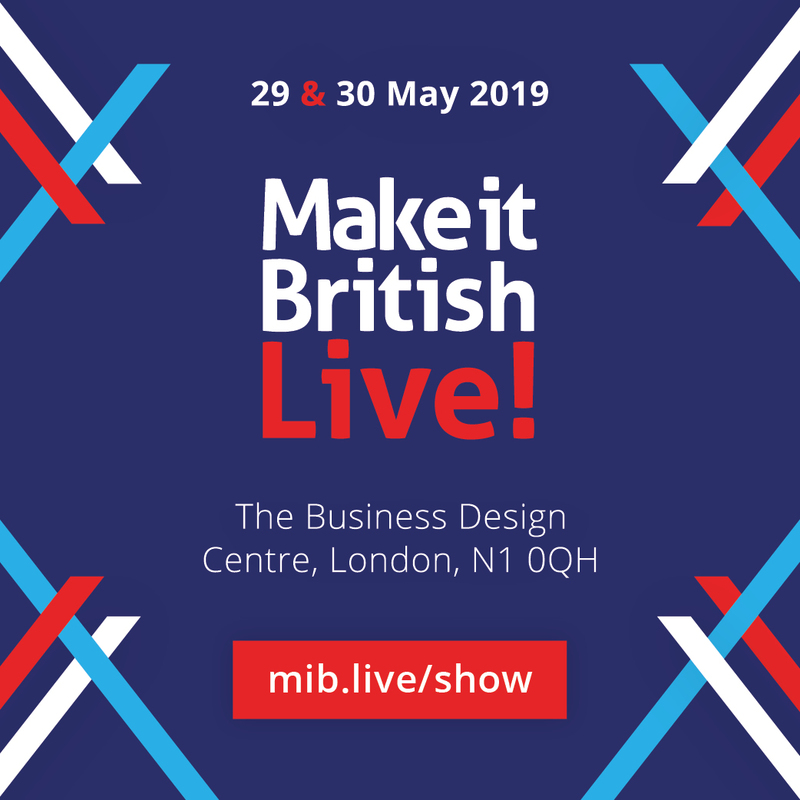 A directory of British manufacturers is something that Make it British has been working on for a while, but should the government not also be doing something about this if they want to see these small businesses making the next step? Access to affordable working space – Joe Smith from Makerversity, a shared space for making and learning in Somerset House, said that finding available space within central London, where many creatives are based, had been a very long and drawn out process. Whilst many agreed that manufacturing ‘hubs’ were a good solution to to expand their business and keep production in the UK, there was little help from the Government to set these spaces up. The Government focuses on the ‘big guys’ when it comes to manufacturing, but the future growth will come from the small businesses. It appeared that many people felt that No.10 thought of engineering when it was referring to the march of the makers, and that craft-type businesses were considered less important. It was also evident that the Government needed a better way of classifying such businesses so that their contribution to the economy could be recognised. The bank of mum and dad is one of the main sources of funding for start-ups and trying to get any money from the banks is a waste of time. Patricia van den Akker from The Design Trust raised the point that in Belgium there are tax breaks for family members that lend to small businesses, whilst in Britain they are penalised for it! The HMRC tax system is a minefield, and dealing with National Insurance contributions and PAYE is even worse. Creative businesses want to spend their time creating, not doing paperwork or negotiating their way around the HMRC website. Tax breaks for those making in Britain would incentivise more people to stick to UK production. It is very tempting to consider manufacturing overseas when it is much cheaper, but encouraging makers to stick with UK factories does so much more for our economy. Tax breaks for those making in the UK could go a long way to making local production affordable. Students are coming out of college unprepared for the real world. Whilst Britain has a great reputation for teaching design skills and encouraging creativity, many agreed that graduates were ill equipped with the business acumen that is required to turn a great idea into a successful company. The Government could address this by ensuring that business studies are an essential part of all creative courses. Apprenticeships are a great way for small businesses to take on new staff. Jane Field from Johnny’s Sister could not rate her experience of apprentices highly enough, and encouraged everyone to consider taking on new team members under an apprenticeship scheme. There were certainly indications from the ministers that making it easier for companies to do so was something that was in the pipeline. I was fortunate to visit with Emma and 20 other business people in August. A great experience and iconic building! 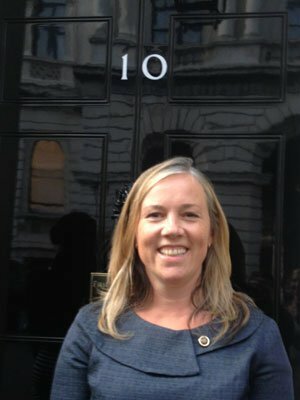 I’d be very proud to make a model of Number 10 for display inside – am sure it would be a talking point for visitors and show how a (literally) small UK businesses can help promote our heritage. It sounds like a very worthwhile meeting and that you all did a great job in getting the message across. I really hope the Government are beginning to see value of the kind of manufacturing you were representing. As well as high value Engineering this country needs to progress on a much broader front and as well as exports which are obviously critical we simply need to be producing and buying more of our own goods. Another thing I would like Government to address is the problem of SME’s growing larger and then being sold or bought out by foreign competition. Personally I see shared ownership/partnerships (John Lewis etc) as the way to lock in long term stability to our economy, if and when the founders of a company decide to move on. Government should look at ways of making this the first/best option when this happens. Very good points, more space is required for small businesses! I would like the Office for Budgetery Responsibility – or such – to help readers make sense of estimates that support public subsidy of things like London Fashion Week, The Olympics, or HS2. A commentry on major reports, open for anyone to read, would be great so that subsidy is well spent. Estimates of how the money will flow-around and help taxpayers are subtle things based on hunch as much as data. I think this should be acknowledged. My hunch is that building work circulates money around the taxpayers that pay for it, as does manufacturing, but none of us has much data to quote and one fiddled report does a lot of damage. Estimates can be commissioned by people with an interest in a project can keep subsidies going to projects that should not get them. They may even be doing more harm than good without anyone knowing for lack of good discussion of hunches and estimates.
? British Fashion Council commissioned Oxford Economics’ “The Value of Fashion” report. It estimates that huge benefits come of every pound spent on British Fashion Council, which is an event and PR organisation, but most of the clothing at London Fashion Week is not made in the UK, while New York Fashion Week exhibitors have made different-sounding statements, saying that crowds and PR distract them from the business of selling clothes to buyers.
? Olympic authorities convinced people that more tourists would come while in fact less people visited London. A commons select committee showed members quizzing fashion trade association directors to ask if the Olympic brand could help UK manufacturing. What do you think? I think not, but there is probably a report somewhere to say that the brand would help create X jobs by Y date.
? HS2. I know nothing about HS2. It sounds great. But the same use of estimates of how money will circulate are used to back-up decisions about how far the line should go or whether there is a cheaper option. A good practice guide for public tenders. Something that probably exists already, and just needs to be updated. I would like public sector bulk buyers to tick a box to say whether they think they are procuring management or goods. For example if a site needs safety equipment delivered from stock to various sites at short notice, that’s management; it is a tender for a safety goods warehouse. If the same tender says “500 prs safety boots” with a separate tender for “500 plastic hats”, with delivery to one site at one time, then UK manufacturers might be in with a chance of supplying. I think that councils often want to create UK employment, but they also want someone else to do the management work of delivering reams of paper or safety boots or hard hats, and that extra cost of managing the order rules-out UK manfacturers from applying, because UK manufactureres have to be very lean, try not to answer the phone, stick to one job, and do it in the simplest way; they cannot be doing with tender applications and stock management,. Free training for UK public-funded buyers or larger-scale private buyers. The training could help buyers re-phrase their tenders in a way that suits local manufacturers, if buyers want to do that. So a buyer who wants a lot of ink would be trained in finding UK ink manufacturers and asking what they make, what their minimums and maximums and lead times are, or whether they have any customers who can put the ink in a Hewlet Packard compatible cartridge, or whatever the requirement might be. Someone who wants tyres could find out what the retread tyre suppliers offer and decide how well their employers’ need fits what is available in the UK. I expect that buyers would want to buy from all over the world, but particularly from democratic welfare states and particularly from the one they are living in because suppliers to that state pay taxes towards public services. I’m sure that a lot of UK public sector buyers come from all over the world, and discussion in training programs would reflect this. Awards for buyers who do well in sustaining UK or European jobs, Council officials seem to like awards, Maybe one like this would help them learn how to buy British made products if they want to. Tariffs that change according to the othe country’s human rights, democracy, and social insurance. I don’t know how to measure each of these things in a clear enough way to merit plus or minus 1% on the EU tariff each year, but the Democracy Index already exists and I expect there are plenty of people who would like the job of working out a scale to measure human rights or social insurance. Without tariffs against sweatshop regimes, I think there is more chance of more of them growing-up and carrying-on, like the Assad regeme in Syria that survived for decades without anyone discouraging it, and now causes the things we all know. Or China and Tibet. So ti would be great if this gneration does not leave as big a legacy of toxic regimes around the world as previous generations, who have traded with them as normal until things get too bad to deal with. An excellent summary of the meeting and points raised. So many great points raised. Let’s hope the government sit up and take notice. Our Government needs to protect UK manufacturing by making international trade “a level playing field”. We need an import duty on imported manufactured and part manufactured products. The governments of China, Korea, India, USA, Norway etc. etc. all do this. Also; our Export License procedure needs extending to include the sale of businesses and property. Otherwise there is no point in promoting a Made in Britain movement. Take Land Rover (Sold to Indian company Tata) as an example, what is the UK content of the new model? Where does the corporate profit go? How much Corporation tax is paid in the UK relative to the size of the business? Maybe the Government needs to recruit an MP who actually has some real manufacturing experience and is passionate about it.